Bayley and Associates - Our people have a track record of training achievements. Many training organisations will say that they have great people and deliver high quality learning solutions – but how can you be sure? At Bayley and Associates we are proud of the quality and achievements of our team. They truly are experts who deliver the depth of knowledge and practical insights that specialists need to be able to effectively do their jobs. We are delighted to share staff biographies and credentials below. You can be assured that as a result of the backgrounds, qualifications and skills of our people we offer learning that really does make a positive difference. Before founding Bayley & Associates in February 1996, Ruth had over 15 years experience as a senior manager in the Australian Public Service and as a Logistics Officer in the Royal Australian Air Force. Ruth holds the degrees of Master of Business Administration (University Medallist) and Bachelor of Commerce. She has a Graduate Diploma of Education, and numerous certificates and diplomas across a broad range of disciplines. Ruth Bayley is highly experienced and recognised expert in the fields of probity and ethics, procurement, project management and contract management. She is also eminently experienced in the design, development, delivery, and assessment of innovative competency-based training programs. This provides Bayley and Associates' clients with access to highly practical, interesting and relevant training and consulting outcomes. Ruth designs and delivers training and assessments to clients at all levels in organisations, with a focus on management teams and senior executives. Some of her particular strengths as an expert consultant and trainer are her ability to adapt the level of engagement to suit the staff she is working with, and to make potentially dull topics come to life. Ruth is also an author, with published articles, development of training materials at all levels and specialist materials in procurement, project management and contract management. Ruth worked with Government Skills Australia to consult widely with industry to review and develop new national competency standards and vocational qualifications in the areas of procurement and contract management. She is also a member of International Standards Organisation (ISO) standards committees in Australia and internationally dealing with procurement and risk management. Ruth is also a member of the Industry Reference Committee for the Business Services training package for procurement and project management qualifications. Ruth is the founding CEO of the Australian Association of Procurement and Contract Management (AAPCM) and is an assessor for AAPCM certifications at all levels. She is a Certified Practising Project Director with the Australian Institute of Project Management, and is an assessor for AIPM accreditations. She is also a qualified mediator. Ruth was an ACT finalist in the 2003 and 2008 Telstra ‘Australian Business Woman of the Year’ awards and 2008 Winner of the ACT Chamber of Women in Business ‘Business Woman of the Year’ awards. In her spare time, Ruth enjoys languages, reading, sharing family time travelling, working hard at the gym, and scuba diving. Ruth is based in Canberra and holds a Defence security clearance. Before founding Bayley & Associates, Kerry enjoyed a 20 year career in the Royal Australian Air Force as an Engineering Officer. He has also worked extensively for Airservices Australia in technical, project and senior corporate roles. Kerry is an experienced training designer, facilitator and competency assessor, as well as having substantial personal and management experience in procurement, contract management, logistics, maintenance, engineering, project management and corporate affairs. Kerry’s diverse career in training development and project management has taken him into an absorbing range of projects in civil aviation and Defence. Kerry holds the degrees of Master of Science, Bachelor of Engineering and Bachelor of Science, as well as a Graduate Diploma of Military Aviation, Advanced Diploma of Project Management and various Government and Training qualifications. In his spare time, Kerry enjoys flying as a private pilot, water skiing, scuba diving and snow skiing with family and friends. Kerry is based in Canberra and holds a Defence security clearance. David is a qualified, experienced and highly respected adviser and facilitator in the fields of procurement, contracting, finance, business strategy, and governance and accountability. David has been providing results-oriented business services to Australian, New Zealand and South East Asian businesses and governments for over 18 years. His approach is characterised by his engaging manner, clear focus and understanding of the varying needs of organisations and the people working within them. David develops practical solutions that genuinely contribute to organisational performance. He is an inclusive but decisive decision-maker who balances analytical approaches with human needs and behaviour. David enjoys surfing, mountain biking, swimming and running. He is also an active masters competitor, and patrol captain and instructor at Freshwater Surf Lifesaving Club. His great passions, other than his family and sports, are supporting his beloved Sydney Swans, reading, particularly economic or political histories and adventurous travel. David is based in Sydney. A valuable partner in the Bayley team since 2000, John Jacobi is very experienced in the design and delivery of competency based training and assessment programs. It’s hard to count the number of John’s training deliveries of Complex Procurement competency courses for public sector clients! He is well known for his ability to tell a story or two to bring the material to life for clients. Through John’s 32 years in the Royal Australian Navy he accumulated vast experience in procurement, logistics and project management. He has excelled at tasks ranging from: human resource management, project management, liaison, tender preparation and evaluation, contract development and management and leadership functions. John specialises in delivery of our procurement, contract management, logistics and project management courses. He also conducts competency assessments. He holds a Master of Engineering Science (Civil), Master of Business Administration and Master of Defence Studies as well as a lengthy list of certificates and diplomas. John is a member of the Australian Institute of Project Management (AIPM), of the Australian Institute of Company Directors and of the Australian Institute of Training and Development. He is also a Certified Practising Project Director and is an assessor for AIPM accreditations. 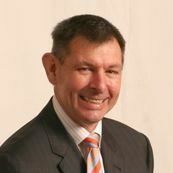 John is a foundation member and assessor of the Australian Association of Procurement and Contract Management (AAPCM). In his spare time, John enjoys living the good life and travelling to exotic locations. John is based in Canberra, but regularly travels to other locations. He holds a Defence clearance. Lindell recently joined the Bayley team having left the Department of Finance after an extensive executive level career. Most recently she managed enhancement of capability and capacity in procurement and contract management across the Australian Public Service and internationally. One of her interesting assignments was a Public Expenditure and Financial Accountability Assessment for the Cook Islands government, with particular emphasis on procurement expenditure controls, accountability and donor support. In her roles for the Department of Finance Lindell had extensive experience in delivering procurement and contract management training programs to the APS. Lindell has interest in the not for profit sector, particularly the volunteer sector, and is herself an active volunteer. Lindell is based in Canberra. Scott Monson brings over 20 years of public sector experience to the Bayley team, and offers significant experience in managing complex procurement projects within the Department of Defence. Scott has worked in a variety of procurement positions, from APS 6 Contracts Officer to Executive Level 2 Procurement Director. He had a key role in developing an innovative procurement framework for a multi-billion dollar shipbuilding project, and has managed over 200 less complex procurements per annum. Scott holds an Advanced Diploma in Government (Procurement and Contracting), Diploma of Project Management as well as a Certificate IV in Training and Assessment. Scott is also a qualified organisational coach, and is committed to advancing the professional development of those within the public and private sectors. Scott is based in Canberra and enjoys his weekends supporting his two children playing AFL and basketball. Phil Seally joined the Bayley team more than 10 years ago. He is an experienced facilitator, business coach and strategist with almost 20 years of experience in ICT, program/project management, procurement, and contract management. Phil's experience spans across the Australian Government, business and corporate enterprises, and community-based organisations. He holds a range of accredited and industry qualifications as well as being accredited in P3O, ITIL, PRINCE2 and MSP. Phil is a Chapter Councillor of the Australian Institute of Project Management (AIPM) and a Qualified Member of the Australian Association of Procurement and Contract Management (AAPCM). He is a Certified Assessor for both AAPCM and AIPM. He has been a panellist judge for the Excellence in eGovernment Awards with the Department of Finance since 2013 for the “Project and Program Management” award. Phil has developed, delivered and assessed competency-based training across procurement, contract management, and project management. He has delivered training to public, private and not-for-profit organisations. His approach to facilitation is inclusive, focussing on experience sharing by the participants and developing industry best practice. Phil has a passion for helping the community sector. He fostered the introduction of the Not-for-Profit category in the Australian Institute of Project Management’s PMAA Awards. He also fostered launching the SkilledCNP program which aims to better match skilled professional volunteers with Not-for-Profit organisations' needs. Phil is based in Brisbane. Read what clients say about our people.